Unprecedented pricing for a breeding to a 10X Champion Sire! Until Helix Galaxy is sold, our daughter Emily is taking over the remaining males (all females sold in a flash), she is offering Helix drive by breedings for $300.00 each or 2/$500.00!!!! Contact Emily via Openherd to reserve your breedings. 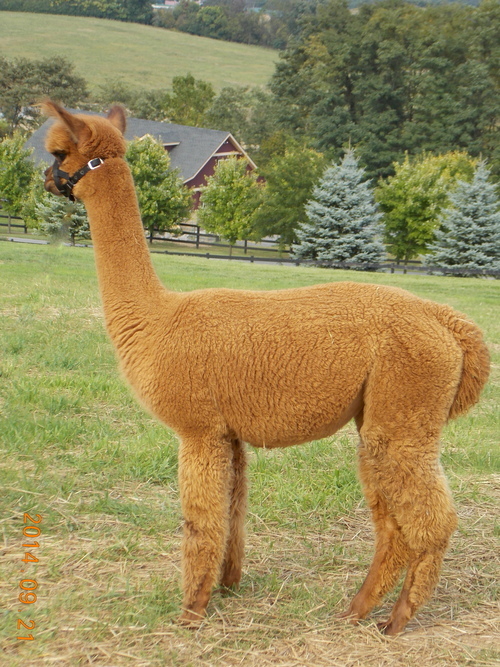 Helix offspring are gorgeous and their fleece stats tell the story of using a herd sire with Proven Genetics! 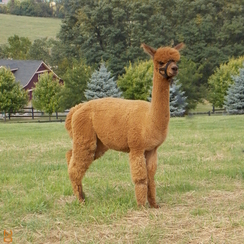 Armelle of the Alleghenies is a truly beautiful Medium Fawn female sired by Snowmass DeBeers! 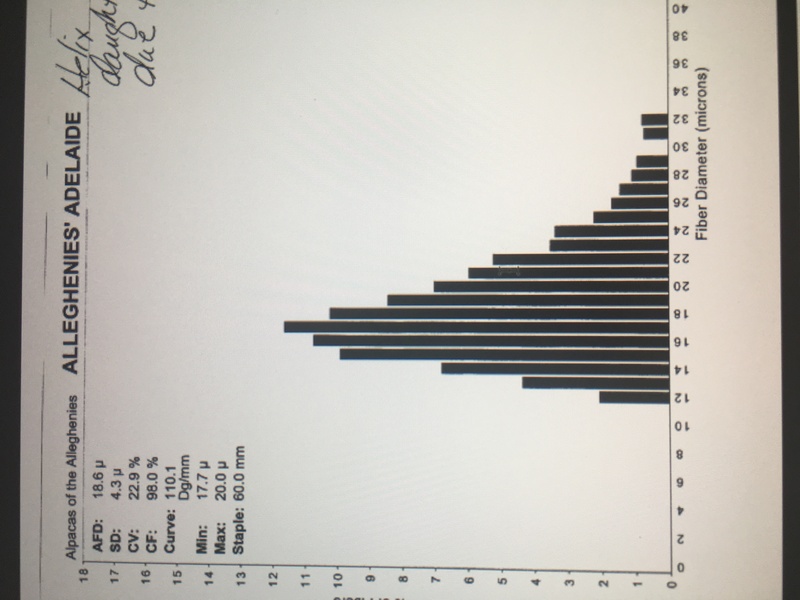 Armelle has correct confirmation, long staple length with beautiful crimp. What comes to mind when thinking about Armelle is her softness. She has a sweet personality that makes her that perfect package you have been looking for. This is a phenomenal offer! 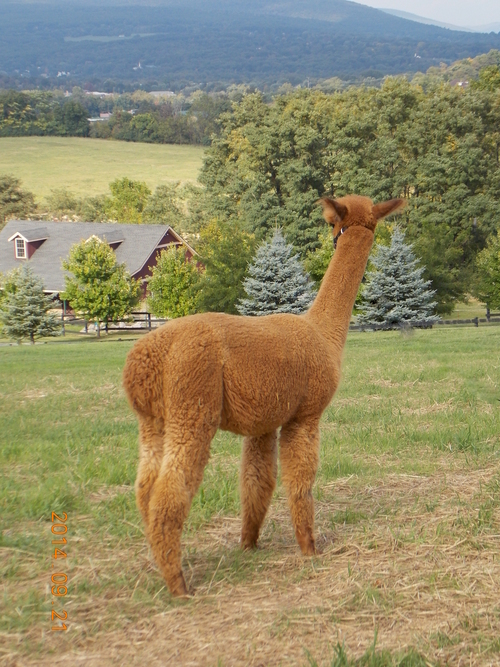 Armelle is the dam of Alleghenie's Zeus (Championship guy) sired by Quechua's Verticase. Adelaide is the first offspring of Helix Galaxy. 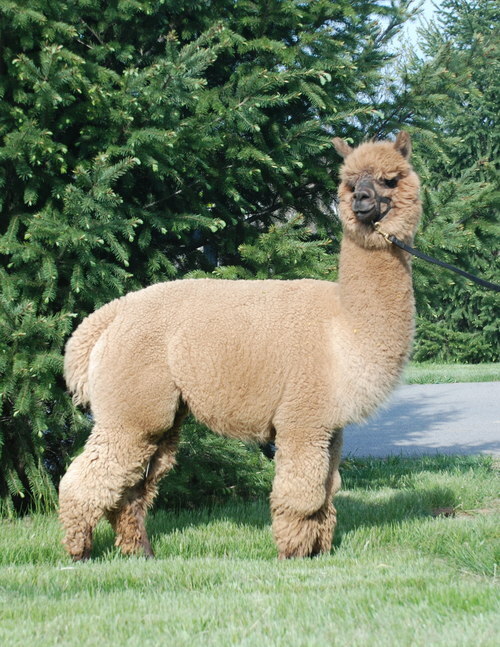 Adelaide has developed into a beautiful female with dense well structured fleece characteristics. She has a gorgeous head style and a wonderful disposition. WOW - Adelaide is ultrasound confirmed bred to Beethoven's Dorian! Let's talk powerhouse genetics: Beethoven's Dorian is a 11X Color Champion with three prestigious Judges Choice awards. His sire; NM Beethoven has 12 Color Championships to his credit. We need not say any more - this girl has the capability to build a show string for your farm. Adelaide is one of our Platinum/Private collection dams. We are offering Adelaide with great hesitation. Take advantage of this opportunity to own this phenomenal female!